SoundPress.net: Neal Morse Band - Was It Only Just a Dream? Neal Morse Band - Was It Only Just a Dream? In November of 2016 we first heard The Similitude Of A Dream. As fans of musician Neal Morse we know that Neal usually releases projects of epic proportions and this multi-disc set was certainly that. Clocking in at over 100 minutes, the progressive pageantry ran the gamut from melodic to moody to mind blowing. Morse at the time commented that the composition was inspired by John Bunyan's book "Pilgrim's Progress" telling the story of a man's spiritual journey from the City of Destruction to the Land of Deliverance. Morse along with drummer Mike Portnoy, bassist Randy George, keyboardist Bill Hubauer and guitarist Eric Gillett brought to life this compelling concept album with songs that move from reflective to riveting. Portnoy (The Winery Dogs, Twisted Sister, ex-Dream Theater) states "I honestly think this is THE album of my career. Neal and I have now made 18 studio albums together, and I consider The Similitude Of A Dream the absolute creative pinnacle of our collaborations together. In early January 2017 The Neal Morse Band were on the road traveling under the guise of The Road Called Home Tour. The trek blasted off at Rocketown in Nashville, Tennessee on Saturday, January 14, 2017. In the coming months the quintet journey through the U.S., Canada and Europe in support of their latest record. The triumphant tour ended in the state where it all began. The band along with dancers and other musicians presented The Similitude Of A Dream as part of MorseFest 2017 in Cross Plains, Tennessee. Neal has called The Volunteer State home for years yet when it's time to film and record a live performance the town of Tilburg in the Netherlands becomes Morse's home base. Many of Neal's projects have been done there. It's no wonder as the Tilburg audience is attentive and sizable when it comes to prog-god Neal Morse. "At the O13 in Tilburg, Holland, the stars aligned for the most commanding performance of the run, captured for live release in stunning quality. An epic night on an epic tour," proclaimed Neal. Presented by Radiant/SONY/Metal Blade the concert is available on Blu-Ray and 2CD/2DVD. Now fans can get up close with the group for over two hours of mesmerizing musicianship as The Neal Morse Band play the entire album along with an electrifying encore. MCN was thrilled when The Similitude Of A Dream Live in Tilburg 2017 box arrived and it left us breathless! The concert is vibrant sonically and visually. It still blows our minds that these musicians not only craft these complex compositions but that they can brilliantly bring it to life on stage. The film and sound were well done thus truly capturing the energy and expertise of The Neal Morse Band. With the live release of The Similitude Of A Dream, Neal can close this important career chapter which perhaps will be re-read at a future date. In the meantime, Morse has announced his plans for MorseFest 2018. The event will be held at New Life Fellowship in Cross Plains, Tennessee. On Friday, September 14 "Voices Of The Beard" will showcase the songwriting, stories and influences of Spock's Beard's lead vocalists Neal Morse, Ted Leonard, and Nick D'Virgilio. Guests include Eric Gillette and Randy George. On Saturday, September 15 "Jesus Christ - The Exorcist" will be premiered. Neal's newest musical will be performed by a Prog Rock all-star cast featuring Neal Morse (keys, guitar), Paul Bielatowicz (lead guitar), Bill Hubauer (keys), Randy George (bass), and Eric Gillette (drums) along with vocalists Ted Leonard (Spock's Beard, Enchant), Eva Kathryn (Steve Morse, Angelfire), Nick D'Virgilio (Big, Big Train, Spock's Beard), Jake Livgren (Protokaw), Matt Smith (Theocracy), Wil Morse and more. The band will be joined by strings, horns, orchestral percussion and vocal ensembles. 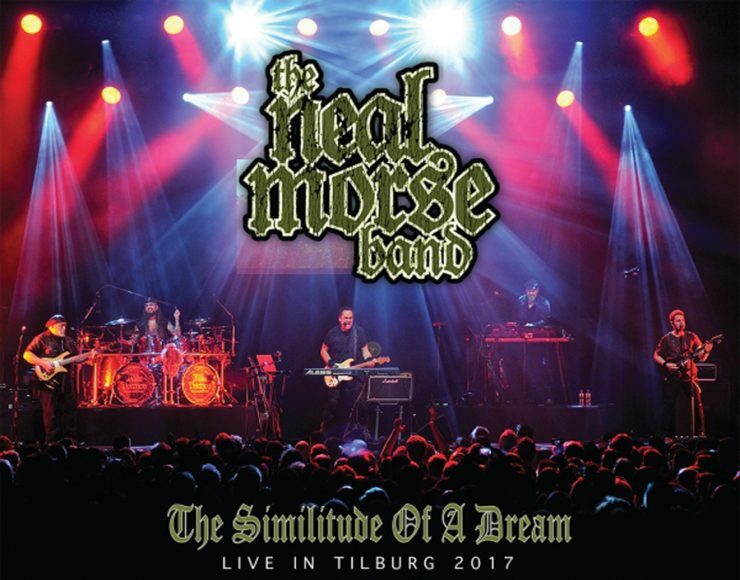 So pick up a copy of The Similitude Of A Dream Live in Tilburg 2017 and mark your calendars for Morsefest 2018!